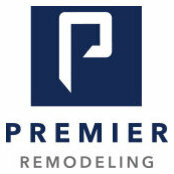 From the Ogden Valley to Park City, Premier Remodeling is here to craft your dream home, whether it's a custom home build or high-end home renovation. We're not like other remodeling contractors in Utah - we have a proven design process, fair & visible pricing, high-quality materials & workmanship, and unmatched personalized customer service. We know taking on a large home project like a kitchen renovation, home addition, full remodel, home theater, or luxury basement finishing can be daunting, particularly if you don't live in the state most of the year! We work with local homeowners as well as a lot of second homeowners that travel to Utah for the exquisite landscape, wealth of festivals and nightlife, and neverending list of outdoor recreation opportunities. Call us at (801) 725-0000 to get started!